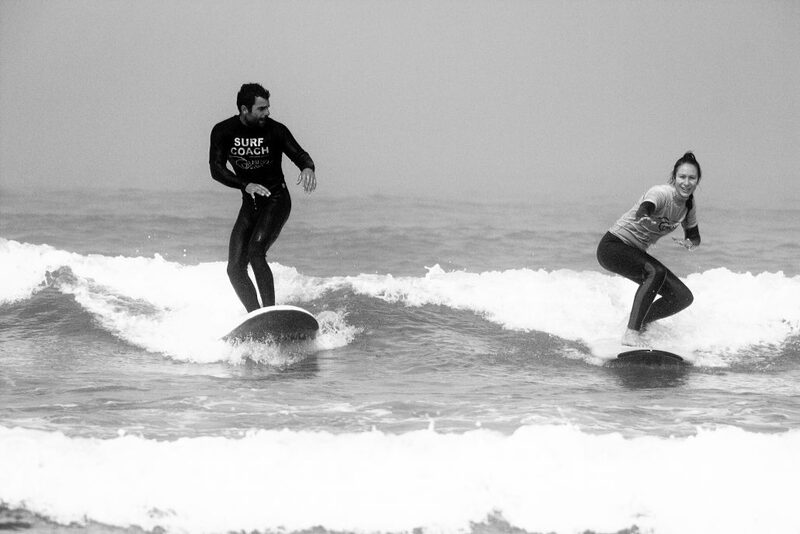 A Couples Surf Lessons is the perfect way to enjoy a fun activity with your other half. 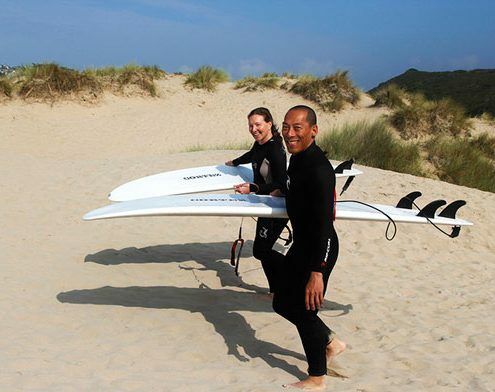 If you love little adventures together and like the idea of learning to surf in your own private surf lesson then our couples surf lessons are for you. What’s part of the Couples Surfing Lessons? 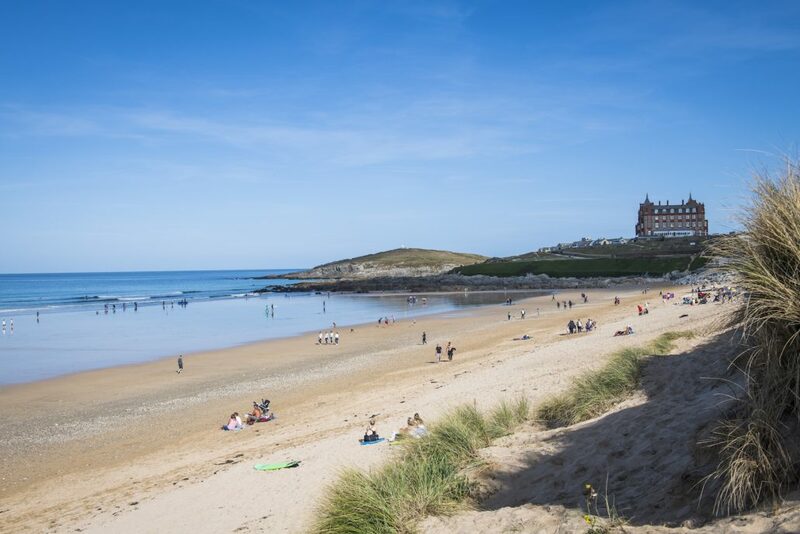 You’ll be met and welcomed by your surf coach at our central Newquay base. After a short overview and introduction of the lesson, it’s time to jump into wetsuits and head to the beach. 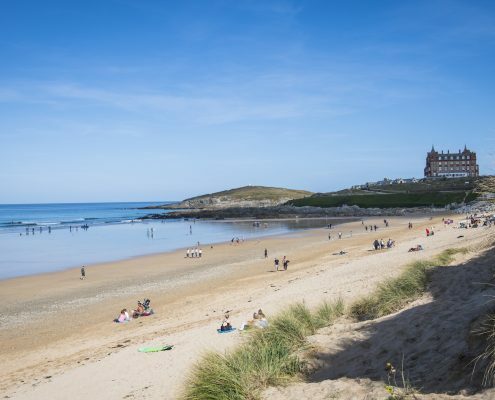 We provide all the equipment for the session although you’ll need to bring something to wear under your wetsuit, a towel and a pair of shoes for the beach. Our aim for the lesson is to provide you with a fun environment to enjoy taking part in an activity together. 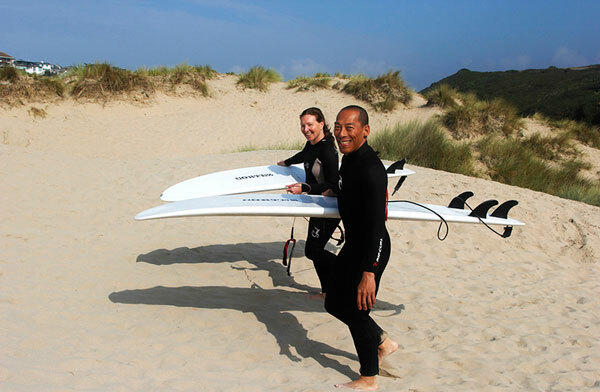 Our private couples surf lessons are designed with you in mind, there’s no rush and we’ll break the lesson down into easy bite size sections. 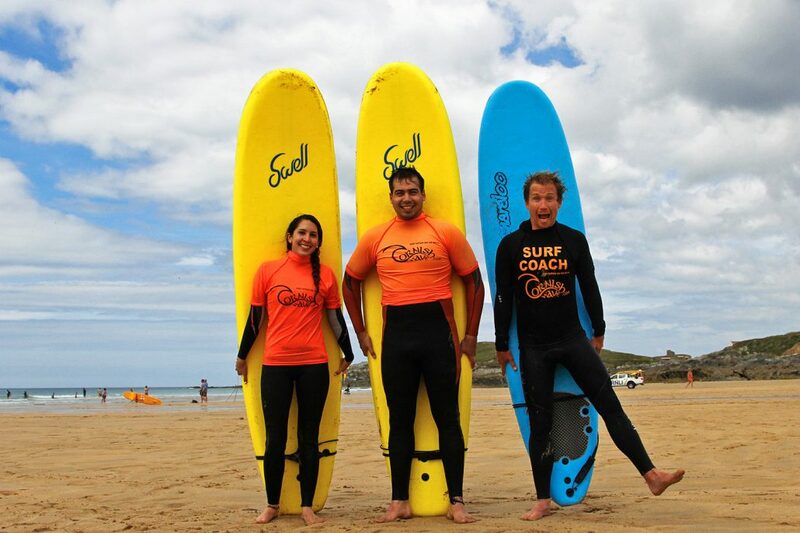 Our couples surfing lessons are one of our most popular surf lessons with many couples enjoying the experience of doing something different together and to have flat out fun! 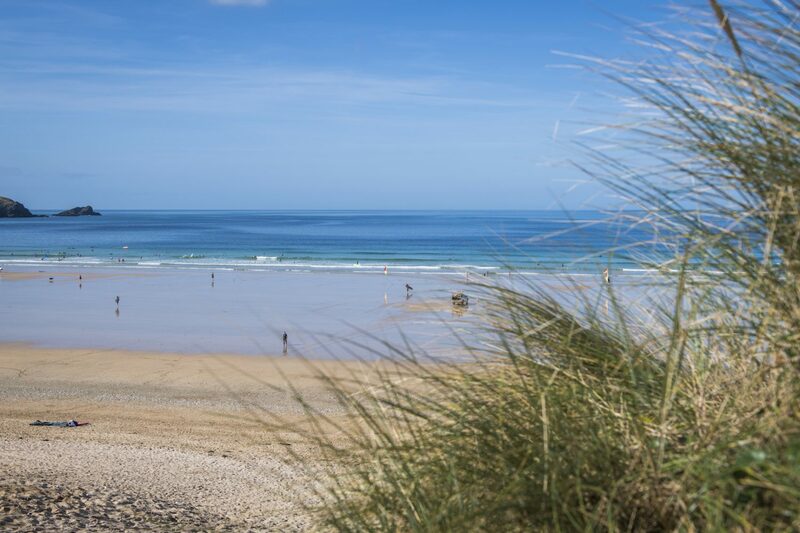 Enjoy what Cornwall, Newquay beaches have to offer with a qualified surfing coach in a safe and relaxed environment.